Recipient of the Presidential Medal of Freedom, the nation’s highest civilian honor, attorney Oliver W. Hill spent more than 60 years in a practice devoted to civil rights causes. He was in the forefront of the legal effort to desegregate public schools, participating in the series of lawsuits that were consolidated to become the landmark 1954 United States Supreme Court decision in Brown v. Board of Education, which struck down segregated schools. Oliver White Hill was born Oliver White on May 1, 1907 in Richmond, Virginia. When he was a baby, his father left; later his mother Olivia remarried and he took the last name of his stepfather, Joseph C. Hill. The family moved to Roanoke, Virginia, and then to Washington, D.C. where he graduated from Dunbar High School. After earning his Bachelor of Arts degree at Howard University, he graduated in 1933 from Howard University Law School, second in his class only to his friend Thurgood Marshall. In Richmond, Hill founded his first law firm, Hill, Martin and Robinson, and joined with Charles Hamilton Houston on the National Association for the Advancement of Colored People’s (NAACP) legal team. In 1940 Hill teamed with Marshall, Leon Ranson, and William Hastie in Alston v. School Board of Norfolk, Va., his first civil rights case victory. The Supreme Court ordered the Norfolk school system to provide equal pay for black and white teachers. In 1942 he co-founded the Old Dominion Bar Association, the first of its kind for black Virginia lawyers. One year later Hill joined the Army in 1943 and served in Europe. Upon his return, he resumed his work in civil rights law, winning the right to equal transportation for black Virginia school children. In 1948, Hill was elected to the Richmond City Council, the first African American elected in Richmond since Reconstruction. With law partner Spotswood W. Robinson, Hill led a team of lawyers who filed more civil rights cases in Virginia than were filed in the segregation era in all other Southern states combined, with as many as 75 cases pending at a time. 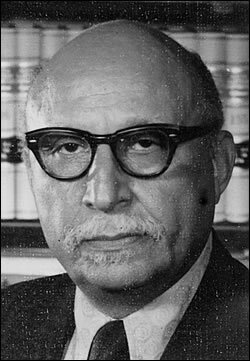 Hill was one of the trial lawyers in the 1951 desegregation lawsuit Davis v. County School Board of Prince Edward County, which would be consolidated with and decided under Brown. During the 1950s a cross was burned on the lawn of his home, and Hill and his family were recipients of constant threats. From 1961 to 1966 Hill worked in the Federal Housing Administration, becoming Federal Housing Commissioner in the Department of Housing and Urban Development. He returned to private practice in Richmond as a partner in Hill, Tucker and Marsh and in 1968 Hill won Quarles v. Philip Morris, a landmark equal employment opportunity case against the giant tobacco company. Hill continued to practice until retiring at age 91 in 1998, although by that time he was blind and in a wheelchair. In addition to his civil rights litigation, Hill served as an officer or on the board of many national, state, and local organizations, including the NAACP and the National Bar Association. His numerous awards and citations include the 1959 “Lawyer of the Year” award from the National Bar Association, the NAACP’s “Simple Justice Award” in 1986, and the “Justice Thurgood Marshall Award” from the American Bar Association in 1993. Hill was given the Spingarn Award, the highest award of the NAACP, in 2005, joining such notables as Langston Hughes and Rosa Parks. On August 11, 1999 President Bill Clinton awarded Hill with the Presidential Medal of Freedom. One year later Hill authored The Big Bang: Brown v. Board of Education and Beyond: The Autobiography of Oliver W. Hill, Sr.
Oliver White Hill died on Sunday, August 5, 2007, at the age of 100. His wife, Berensia Ann Walker Hill, predeceased him in 1993. They had one son, Oliver White Hill, Jr.
Oliver W. Hill, The Big Bang: Brown v. Board of Education and Beyond, the Autobiography of Oliver W. Hill, Sr. (Winter Park, Florida: Four-G Publishers, 2000); Alan Govenar, Untold Glory, African Americans in the Pursuit of Freedom, Opportunity, and Achievement (New York: Harlem Moon, 2007); http://www.pbs.org/beyondbrown/history/oliverhill; http://www.nytimes.com/2007/08/06/washington/06hill; http://www.brownat50.org/Brown/Bios/BioOliverhill.